Here we have almost the perfect triumvirate of Judges aligned like the stars and one has to spoil it with a bogus “I concur but I’m butthurt about Willie’s due diligence in this matter”. Trust Judge Coral to be the one to go south, too. With all her judicial education and glowing rèsumé, it’s just incongruous to me how she began dwelling on that facet. VA screwed up. Strike that. They didn’t screw up. They purposefully played the same exact ‘Keep Away” game with Willie that they did with me in 1994. Gregg Block has an infinite number of combinations available to construct panels. We have yet to see a Schoelen, Bartley and Greenberg combo. That would be like drawing to a royal flush. Whoooo doggies. We are considered babes in the woods if pro se. We are considered by the higher Federal Courts to be represented by neanderthals with funny hats of many colors when we have a VSO. Not until we hire a Juris Doctor do we have to worry about procedural rules. 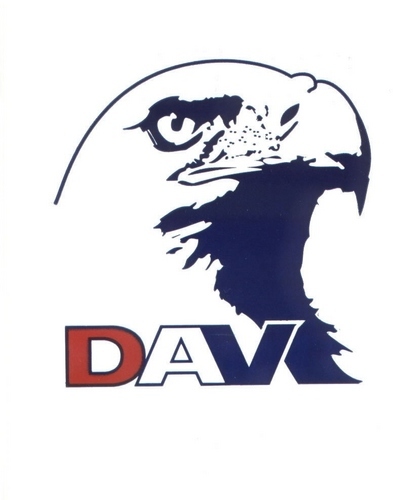 Which brings us the marvelous tale of one Willie J. Threatt and his adventures using the DAV to hold his coat. Willie began filing for left/right hip and bad back- probably back in 1999 0r 2000. By 2003, he’d advanced to center court at the BVA and gotten his Warholian fifteen minutes of denial fame. What came next was the VA three-card Monte game. Think of this. It’s as obvious as the nose on your face that Willie was a hands-on guy and did a little filing himself. Hey, we’re Veterans and masters of the hurry-up-and-wait game. Willie probably just tried to ‘facilitate’ the process. By the end of the BVA hanging, he’d figured out he needed to see VA’s hole card (the c-file) to fight the claim. He must have surmised there was some corroborating evidence in the file the Roanoke Puzzle Palace wasn’t absorbing. The fact is, he may have visited Hadit.com and discovered he needed an IMO to win it. The 120-day clock was now ticking inexorably. Willie began a mad scramble to get his medical records from Fort Fumble. Think about it. Where else do you see a fellow filing a claim (think lawsuit), losing and then filing his appeal at the same court? Nowhere. Most would catch a cab and zoom to the state capitol to file the appeal at the higher venue. If one lost there, it would be off to the proper Fed. Circus wherever they were seated. At the VA, on the other hand, you file your substantive appeal at the same “court” or, in this case, the Agency of Original Jurisdiction (AOJ). Given this, why wouldn’t Willie send in any Notice of Appeal or Request for Motion for Reconsideration to the RO? Remember, back in 2003, as now. if you have no law degree, you cannot dress up like an attorney-wannabe and carpool over to the CAVC. That kind of took DAV out of the running right there. Absent any meaningful representation, he turned to his Congressman for help. With June 20th or so as Bingo Day, Willie lit into this with true verve. Coral Wong would say this hardly constituted due diligence. I disagree. Mr. Threatt did everything he knew how to given his abrupt lack of judicial assistance. Within fifteen days he was on the horn to his Congressman trying to get Vermin Ave. NW personnel to cough up the c-file or, at the very least, just the contemporary SMRs from his service file. What does Representative Scott do? He kites it up to the BVA about a month later on April 9th. Finally, on April 22, 2003, fully 62 days after Willie’s first missive, some chucklehead at the BVA did what they have been doing since 1989. I call it willful misconstrual for lack of a better judicial epithet. Judges are far more introspective and bandy about words like misfeasance. Six of one, half a dozen of another. The end result is to fritter away time in useless gestures until the right to appeal has come and gone. We see this being employed nowadays by VSOs asking for “Motions for Reconsideration” at the RO level. This allows AOJ to delay until a NOD is past due. The Veteran, unaware that this mythical Motion for Reconsideration is a fig newton of the VSO’s imagination, blindly agrees hoping it will fix things pronto. This little dance of mailing futile missives out continued right on through past Mr. Threatt’s June 20th, 2003 suspense date. With perfect aplomb, and knowing full well the magic moment had passed (willful misconstrual), the BVA sent Roanoke his latest plea for medical records and what could only be construed as a desire to hotly contest the BVA denial. One little problem. The forwarded letter didn’t make it the paltry 240.7 miles from Vermin Ave. NW to Virginia’s Fort Fumble until August 11th, 2003. For the number-challenged, that is a full 52 days after a NOA or BVA Motion for Reconsideration would have been accepted. Perhaps they didn’t have UPS or FEDEX in the back woods of Virginia way back then. 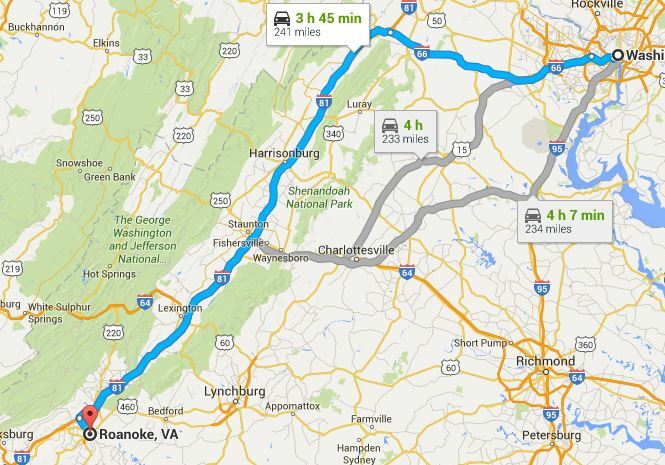 But why send it to Roanoke-late or otherwise? Why not send it on to the CAVC and let them tangle with it? On August 7, 2003, the appellant’s May 30, 2003, letter was forwarded to the RO. The RO received the letter on August 11, 2003, more than 120 days after the Board mailed the February 2003 decision, and processed it as “congressional liaison” correspondence. On August 12, 2003, the RO replied to Representative Scott’s office, stating that the appellant’s service medical records had been mailed to him, and that “Mr. Threatt must initiate the appeal to the Court. . . . He must send his appeal directly to [the Court]; he cannot submit his appeal to [the Court] through either the [RO] or your office.” The RO’s letter was copied to DAV. It was not sent to the appellant. Ah, the wonderful world of nonadversarial, Veteran-friendly adjudications where every benefit of the doubt is accorded the claimant. No tricks or traps for the unwary here. Just simple ex parte justice anyone can understand in the absence of guidance. Going even further with this obfuscation, the BVA let Willie to chase down even yet another Hoodoo Lane after he sent in and asked for a belated Motion For Reconsideration at the BVA. A second letter revised that and asked for a Motion for Revision of his BVA decision. On January 23, 2004, the appellant sent two letters directly to the Board. In the first letter, the appellant stated that he was filing a motion for reconsideration of the February 20, 2003, decision. In the second letter, the appellant stated that he was filing a motion requesting the Board revise the February 20, 2003, decision based on clear and unmistakable error. There is no evidence the Board responded to these letters. Okay, Judge Coral. Just exactly how many times do you have to get the VA bitchslap before you get the idea that even due diligence is going to be met with the sounds of silence? No one can say Willie sat around and played solitaire during his 120-plus days diligently awaiting his medical records request. Finally, almost four years later, on January 31, 2007, Willie got the impression VA was funning him. In order to get the ball rolling again, he reopened the old claim only to find out VA wasn’t having any discussions about 2003 or earlier. That’s when Willie caught a bad case of litigation fever and went on the warpath. Roger that. When dissed, get a law dog. Which pretty much brings us up to date and to the CAVC. St. Meg and Brother Greenberg don’t have any problems seeing through these types of shenanigans. VA’s very modus operandi never changes. The OGC’s deer-in-the-headlights imitation is pure hokum. They’ve pulled this stunt so many times it’s even published by Cliff Notes®. I’m surprised they don’t include it in the M 21 considering how often it’s employed. The rest of the decision eviscerates what’s left of the OGC’s tenuous grip on judicial respectability. One argument after another falls by the wayside. In quick succession, the idea that Representative Scott was acting as his de facto attorney illegally in violation of 38 CFR 14.629(b) is demolished but not before insistence that Representative Scott had no standing or authority to file his NOA. This list of butthurts the OGC brings up all end up in the post hoc rationalizations trashcan beside St. Meg’s bench. Judge Coral’s plaint seems hollow. 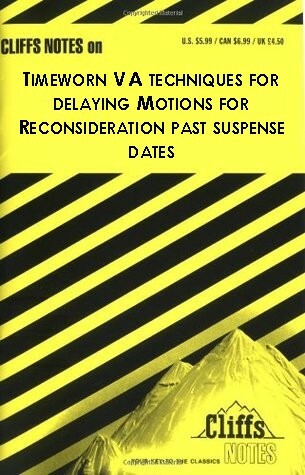 A clear path from the inception of the claim to the demented BVA decision by George R. Senyk seems to show an unbroken chain of events that depended not on Willie to prove due diligence in this matter but of VA’s utter lack of due diligence in timely providing him with that which he needed to appeal or to file for a timely Motion for Reconsideration. In this VA Bizzaro world, there was no equitable tolling to be had because VA never could accept they were the progenitors of the problem in the first instance. Willie’s most excellent law dog Aniela K. Szymanski, Esq. Willie will now finally get his day in Court thirteen years late. When and if he prevails, he will have accomplished no small feat. Equitable tolling is a rare treat. VA begrudgingly did it for me twice back to 1994 but only when being prodded by a Joint Motion for Remand admitting defeat and later an Extraordinary Writ begging for closure. I expect old Willie is going to be pleasantly surprised. Face it. If VA screwed up this equitable tolling argument so completely, it almost stands to reason the prior denials were equally way off the mark. Kutscherousky v. West to the rescue. 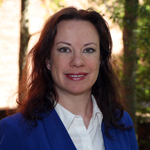 A warm thank you to Aniela K. Szymanski, Esq. for a splendid job sorting it out. No flies on her. 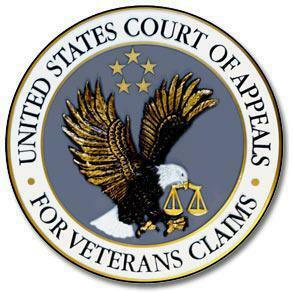 This entry was posted in All about Veterans, BvA and VARO CUE DECISIONS, CAVC Knowledge, CAVC ruling, Congressional Influence, Equitable tolling, KP Veterans, NOVA Attorneys, Tips and Tricks, VA Attorneys, VA Motions for Reconsideration, VSOs and tagged ASKNOD BOOK, asknod.org, asknod@wordpress.com, Disabled Veteran, DIY vA Claims, Gulf War Claims Help, Gulf War Vets Help, HCV Veterans, HCVETS, Help with vA Claims, Helping Veterans, Korean War Vets Help, Service Connection, VA claims, Veterans Benefits, Veterans claims help, Vietnam Veterans Claims Help.. Bookmark the permalink. 2 Responses to CAVC–THREATT V. McDONALD-SLOW! EQUITABLE TOLL AHEAD. I’m condemned by my education, Gary. Imagine having a vocabulary of millions of words to choose from that rarely see light. I try to keep it down to earth but I have to write for everyone. I will keep you in mind though. Polysyllabic words are like exotic fruit to me. Humor is just the product of being born on April Fool’s Day.